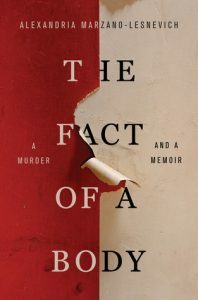 Summary: When Ashley Cordova is found dead in an abandoned warehouse, her death is ruled a suicide, but investigative journalist Scott McGrath suspects otherwise. As he probes the strange circumstances surrounding Ashley’s life and death, McGrath comes face-to-face with the legacy of her father: the legendary, reclusive cult-horror film director Stanislas Cordova—a man who hasn’t been seen in public for more than thirty years. Driven by revenge, curiosity, and a need for the truth, McGrath and two strangers are drawn deeper and deeper into Cordova’s eerie, hypnotic world. The last time he got close to exposing the director, McGrath lost his marriage and his career. This time he might lose even more. I’m not sure if I would have picked up Night Film had I not first read other Marisha Pessl novels—but I loved Special Topics in Calamity Physics and Neverworld Wake, and so perhaps went into Night Film expecting to love it just as much because Pessl wrote it. Her narrative tone is there, as well as her penchant for a plucky adolescent female protagonist, but in this one, Ashley doesn’t get to tell her own story. She dies at the beginning of the novel and so does her voice, her character only coming through via her relationships to other people. There’s the book’s narrator, Scott, who is investigating her death; Hopper, who knew Ashley as a teenager; and Stanislas Cordova, her father, who becomes almost more of an obsession to Scott than Ashley’s death. And on top of everything is the perception of Ashley, which morphs and twists depending on who’s talking and what they believe, but never really Ashley herself. It’s not that I didn’t like Night Film, but perhaps that I was expecting one thing while it was another entirely. By the end of the novel, Pessl effectively wraps up the overarching mystery, but after finishing the book amidst a three-hour reading session, it didn’t sit right. I wanted her to continue making me feel physically uncomfortable, the way I felt while Scott was trapped in a seemingly endless maze of Cordova’s immaculate film sets, having to reconcile the vibrant movie scenes with their static physical counterparts. It’s the dissonance that I liked, the feeling like something is there, just out of reach, your eyes straining to make sense of shadow. Pessl wove this otherness so perfectly through Neverworld Wake, but it doesn’t quite work in Night Film because she doesn’t let us decide for ourselves what’s real. Instead of a definitive yes or no, I craved a maybe, that last lingering shot which reveals a sudden, subtle shift to everything that’s come before. Would I recommend Night Film? Maybe. It’s just as lush and pleasantly overwhelming as her other work, the story sucking you in until you drop all other activities in favor of finishing, but I felt almost cheated by the end, all the hours I’d spent reading amounting to a that’s it? On one hand, Night Film works as a mystery novel; on the other, a meditation on obsession and celebrity and what an artistic creator owes to their fans. But Pessl’s attempts to imbue the novel with an eerie subtext, that hush of otherness, never quite took. Whenever she pulled back the curtain, I wanted to preserve the illusion.